As 2018 comes to a close and I count my many blessings, I want you to know you are included in that count. What an amazing year it has been, and your continued friendship and support has been a big part of my success and happiness. I continue to learn and grow as an artist. Broadening my horizons and getting outside my comfort zone have resulted in some different and beautiful new art this year. Thanks for continuing to cheer me on in this pursuit. Here are just a couple of my latest paintings which you may not have seen. If you’d like more info on either painting, simply click on the images. Paradise Lost was created as a tribute to honor all those who lost their lives, homes and more in the tragic wildfires that have ravaged California recently. The events have touched me deeply, and I felt the need to convey my thoughts on canvas. Connections was created to embrace the way each of us, and the entire universe, are connected in ways we may never fully understand. From the tiniest creature to the vastness of the heavens. Our home is decorated for Christmas, and I am fondly recalling memories of Christmases past as a young child. We’re looking forward to celebrating the holidays with our children and now four grandchildren. Christmas was always magical for me, and I hope my grandchildren will feel the same as they grow up. If you’re like me, you’re already making plans for 2019. I have two solo exhibits I’m excited about. One in February and the other in November. At least I know I’ll be busy at the beginning and end of 2019. I still have a few of my 2019 calendars left if you need a last minute gift idea. They’re really beautiful and practical. I’ll hand sign each one. Just click the button below to see more on the calendars. Once they’re gone you’ll have to wait for 2020! Thank you so much for being such wonderful fans, collectors and friends. 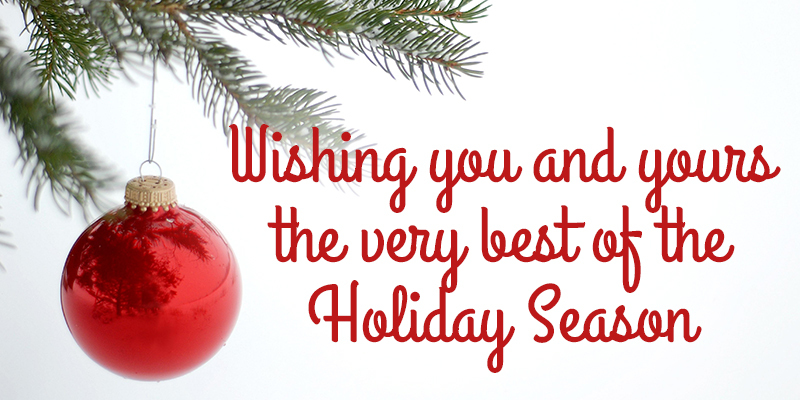 Wishing you and yours a wonderful holiday season and all the best in the coming year!